North facade from Delancey Street. 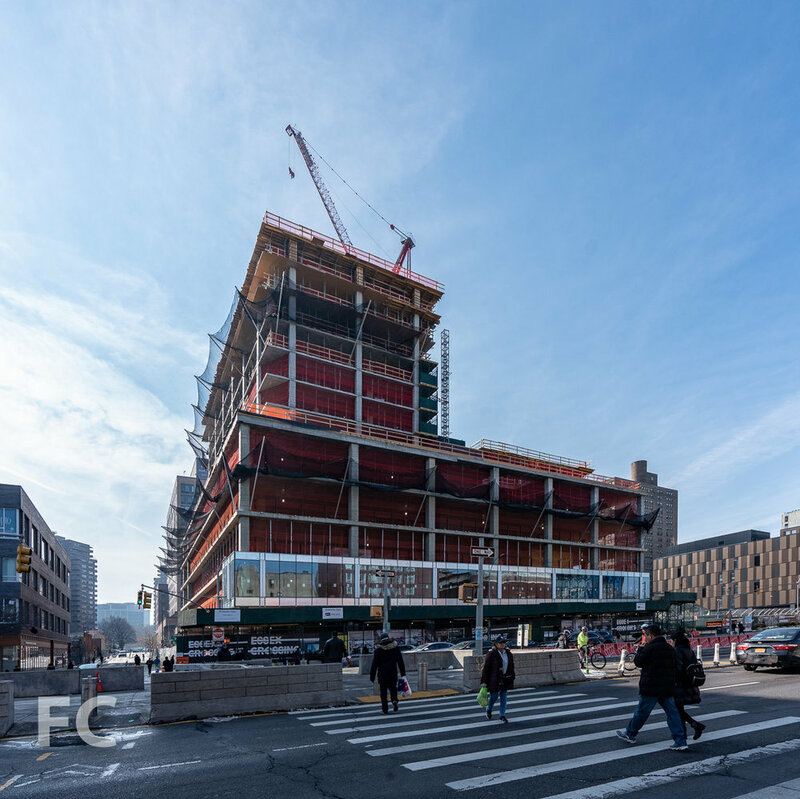 Superstructure is nearing the half way mark at 180 Broome Street, part of the nine-building Essex Crossing development on the Lower East Side from a joint venture of L+M Development Partners, BFC Partners, and Taconic Investment Partners, and Goldman Sachs. 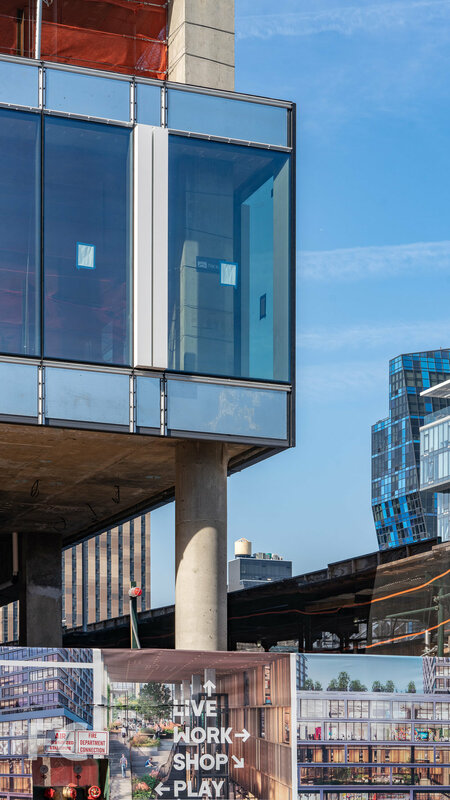 Designed by Handel Architects, the 26-story mixed-use tower will offer 10,000 square feet of ground floor retail, 175,000 square feet of office space on floors two through five, and a tower with 263 rentals. Facade installation has also begun on the second floor. 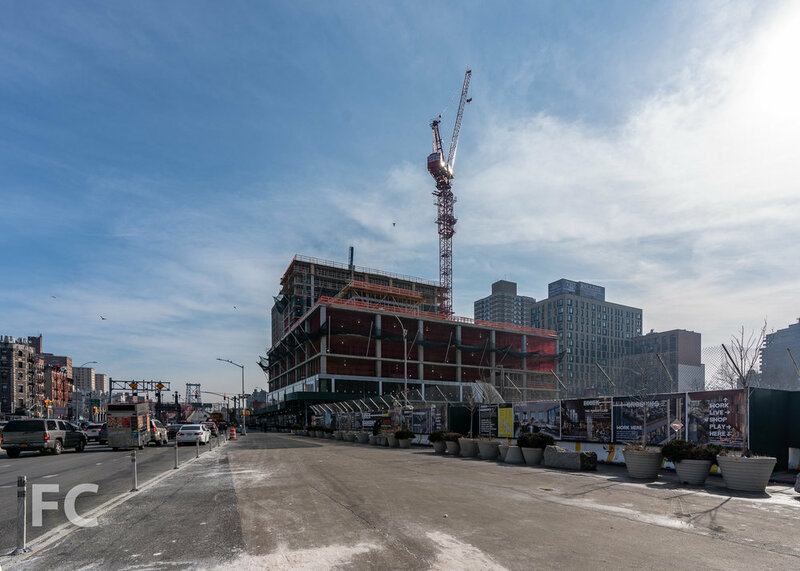 Northwest corner from Delancey Street. 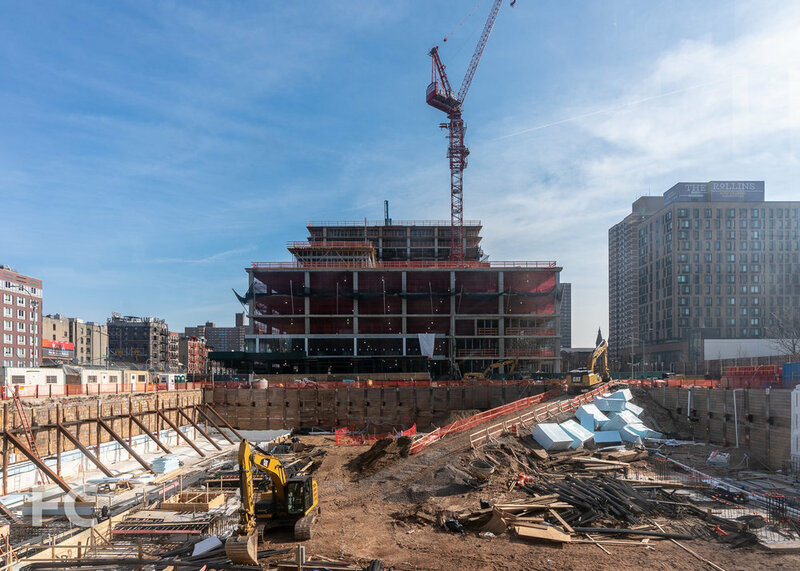 Southeast corner from Clinton Street. Southwest corner from Clinton Street. 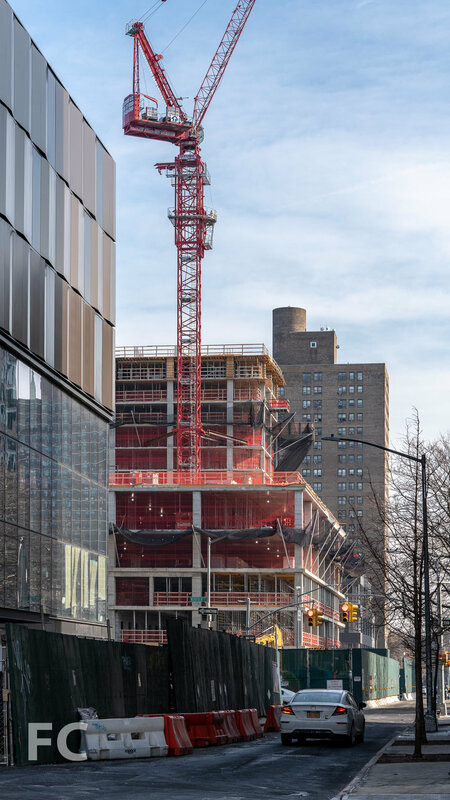 Architect: Handel Architects; Developers: Delancey Street Associates (Taconic Investment Partners LLC, L+M Development Partners, BFC Partners, Goldman Sachs); Program: Residential, Office, Retail; Location: Essex Crossing, Lower East Side, New York, NY; Completion: 2019.